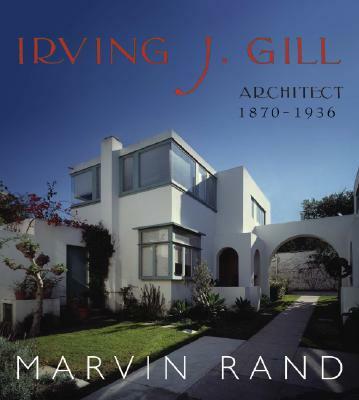 Architect Irving J. Gill (1870 - 1936) is widely considered the first and preeminent architect of the "Modernist" era. In her groundbreaking work, Five California Architects, Esther McCoy asserts that, along with Bernard Maybeck, Charles and Henry Greene, and R.M. Schindler, Gill is one of California's most important architects. As one of the most influential architects of the late nineteenth to early twentieth century, Gill is said to have been so far in advance of his time that there was yet no discussion of "Modernism"--it simply had not emerged as a movement or a consciousness. Gill followed no one, choosing instead to lead a paradigm shift from crafts construction to machinic building, particularly in light of the development and evolution of concrete as a material of choice. This book is a must-own for any serious fan of Gill, California architecture, modernism, and turn-of-the-century development in building. Marvin Rand has been published in numerous books and magazines throughout the world and has been showcased in major exhibitions. He is the author of Green & Greene ( Gibbs Smith, 2005). He lives in Marina del Rey, California.